Eve Karaviotou - AGP & Co, A.G. Paphitis & Co: Cyprus Lawyers, Cyprus Law Firm. Eve is a determined advocate to whatever she is dealing with. She is a very well organized team leader and committed to her work, able to handle any case however difficult or complicated it might be. Eve is a partner and head of the firm’s Litigation Department. She has extensive experience in all areas of dispute resolution, litigation and arbitration, with an impressive success track record before District and Supreme courts as well as before international arbitration centres. Eve graduated in law from University of East Anglia (UK) and she is a Barrister-at-Law of Gray’s Inn, London (called to the Bar in 2001). She specialises in complex and cross-jurisdictional corporate and commercial claims, particularly those involving shareholders disputes, lengthy multi-jurisdictional debt recoveries and breach of contracts, corporate frauds, negligence, unjust enrichment, and cross border disputes arising out of joint ventures. Eve also has extensive experience in matters ancillary to litigation and arbitration, including obtaining and opposing freezing injunctions in support of dispute resolutions, enforcing Judgments and Arbitration Awards, obtaining and defending interim petitions of general civil, corporate and commercial disputes, obtaining final interim judgments and awards on an expedited basis, and challenging enforcement of defective awards. Eve joined AGP & Co in 2019 as Partner and Head of Litigation. During her professional experience Eve has been Litigation Partner at Patrikios Pavlou & Associates LLC, Nicosia, Cyprus (from 2003 to 2012), and Senior Litigation Associate at Stelios Americanos & Co LLC, Nicosia, Cyprus (from 2012 to 2019). Eve is a reliable and determined advocate to whatever she is dealing with. She is very adaptive, cooperative, effective, well-organized team leader and committed to her work. Due to her experience and background Eve can handle any case however difficult or complicated it might be. 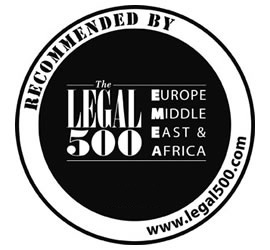 Recommended Lawyer Legal 500, 2019 ed. Honorable Society of Gray’s Inn, London.